Make Some Noise Communications - Providing PR services, internal and change communication solutions to businesses in the Midlands. Make Some Noise Communications offer services to help you clearly communicate to either colleagues or customers. We have a number of journalists who can put together professional press releases and engaging social media posts to spread the world about your firm. 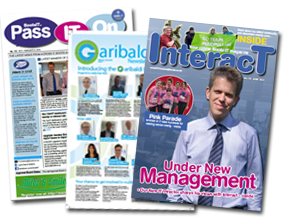 We understand how both digital and print publications tick (we run one!) and can tailor content to match their needs and help ensure your message gets out there. We believe that a happier, healthier and better-informed workforce leads to a better business. Engaging with your workforce by using the right kind of communication, delivered regularly and efficiently through appropriate channels, can make a big difference to your people and your profits. So whether you want to rally your employees around a specific cause, improve their performance in a key area, inspire them to get behind the big corporate vision or simply celebrate some of the great things already happening in your organisation, Make Some Noise Communications can help.